This is an image of a onion epidermal (skin) cells. The onion epidermal cells are arranged in a neat manner. 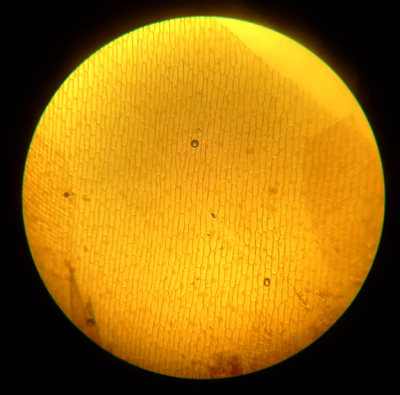 Onion epidermal cells do not have chloroplast as they are found underground.